Hospital: The Athens Lunatic Asylum - "The Ridges"
Subway: Cincinnati's abandoned subway (tours limited or postponed due to safety concerns). But there is an easy-to-tour, must-see that is safe and cool: Mansfield Ohio, Ohio State Reformatory. It will satiate the need to experience the Tocula Prison, Nightmare realm, Chapel, and even a bit of Midwich School! OSR is huge, affordable, and has official tours (including night ghost hunting). So it is safe and cool. 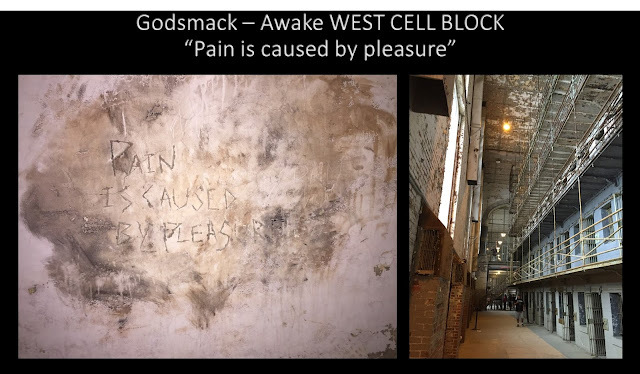 It is known for the filming location of movies like Shawshank Redemption, Tango and Cash, Air Force One, and even music videos for Godsmack and rapper Lil Wayne. 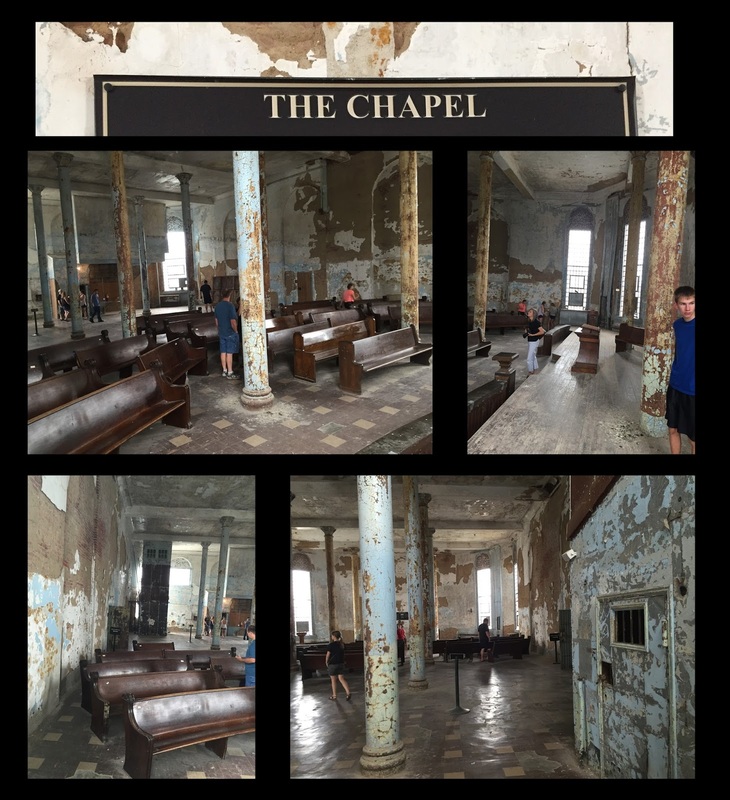 It was originally a reformatory, so it’s design included a huge chapel and school. 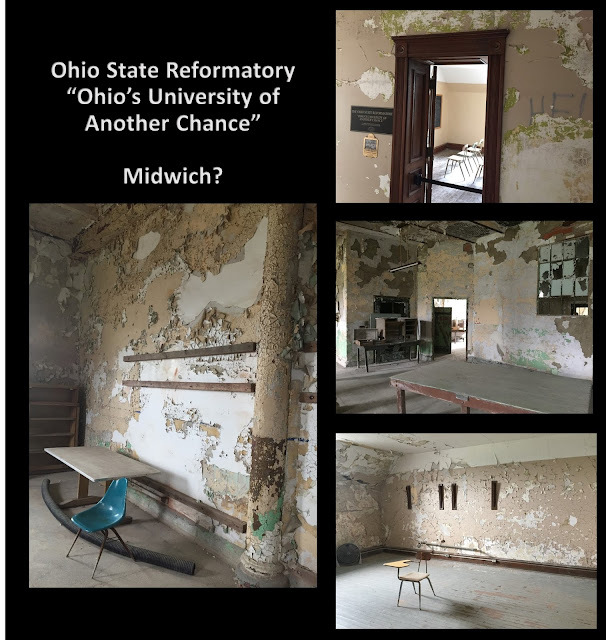 The architect ensured the inmates could see the outside to have more hope; cells were put in the interior-center facing out. Since it was shutdown, many broken windows allow the weather to deteriorate the building--> especially the lead paint which peels off the walls. The warden lived in a beautiful central area. The wood was engineered due to fire codes the railings were made in steel, but look like wood. 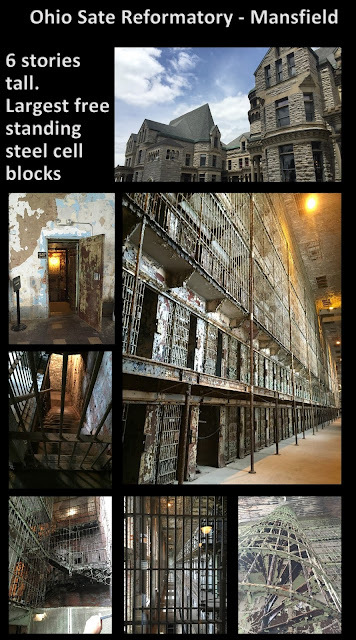 The East cell block is the largest fee standing steel cell block; very loud too; this side had more grates to ensure inmates could not fling material at guards. The West cell block was quieter at night. Silent Hill Omnibus #2 - review by S.E. Cathartic Reading: As a longtime Silent Hill fan (since the original) I needed a fix to overcome the disappointing issues plaguing game publisher Konami: Silent Hills for PS4 promised to be awesome (involvement with Guillermo del Toro and Norman Reedus-walking dead actor). Then it got abruptly cancelled. I turned to Silent Hill Omnibus and Silent Hill Omnibus, Volume 2 to satiate my need to roam thru a ghost town. Like #1, this Omnibus is true to the canon/style of Silent Hill. The art in this one is more clear and understandable, yet remaining "weird" in a good way. Expect cameos from your favorite creatures; characters always being drawn into a ghost town to confront their past. The last two installments provide some extension of background story for the Postman and Anne featured in the game Downpour. On the whole, the story lines rely too heavily on adultery & murder (some variation would be nice), but they are well written. The comics will not replace what-could-have-been the experience promised in Silent Hills (plural, the game), but they are a worthy part of the "Hill." Recommended for Hill fans. The Silent Hill Omnibus omnibus comprises 5 installments of the comic adaptions for the Silent Hill game franchise from Konami. The survival horror games are known for their Lovecraftian style of horror (weird, nondescript nightmares emphasized over sudden shock); typically a visitor goes to the town with serious emotional baggage, explores a ghost town, and comes face to face with realized version of their nightmares....that is the safe part of the workflow. 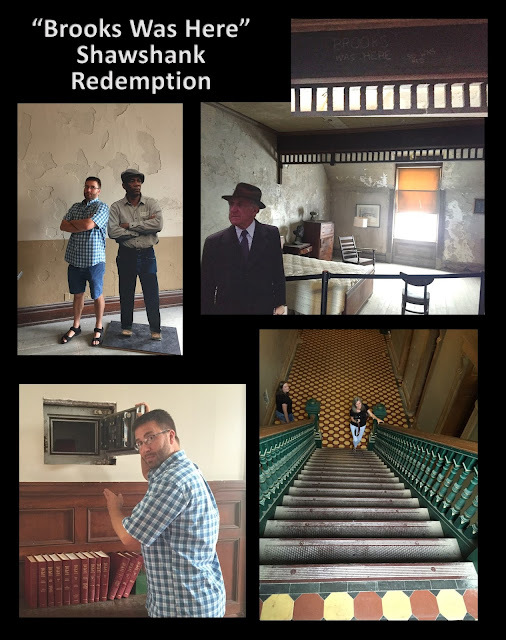 Then visitors (gameplayers/readers) are taken to deeper levels of hell in which they yearn to revisit the haunting ghost town for safety. What is "real", "imagined", or "remembered" is never clear. The comics are generally true to the ambiance. They introduce new characters, some of which mirror those in the games (i.e., police officers, a young girl). A few stories stretch the mood to include shoot-zombies-up gameplay vibes (ala Resident Evil) or B-rated horror (gratituous cheerleaders). The art is likewise ambiguous; like the game's notorious fog that hides details, the art is not always clear. For Dying Inside (the fist chapter) this worked okay; by the end of the omnibus the art & story became confusing (too many characters that looked liked one another). The idea of intermixing various characters' memories, haunts, and stories was nice at first... but the story complexity diverged so much that the final story (which aims to bring closure to it all) remains confusing. On the whole, the omnibus was satisfying and true enough for me to launch into Vol 2.. It's recommended to other Silent Hill fans needing a fix between games. 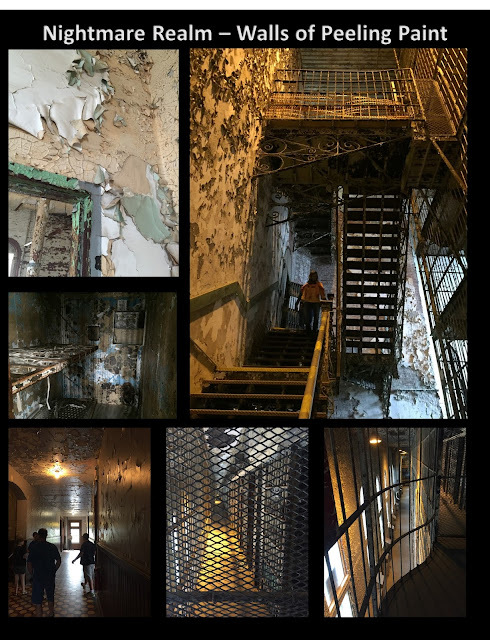 Dejarnette Sanitarium; a vacation to Silent Hill? Just vacationed with the family, the key destination being the natural dye making workshop in Monticello, Virginia (to boost my dye making hobby--Link). 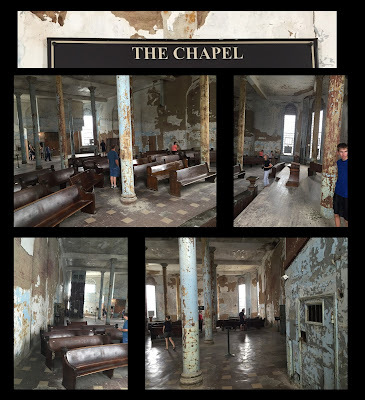 After traveling through the Appalachian Mountains and renting a hotel overlooking an abandoned Sanitarium, I began to feel the “Silent Hill” experience. Although not a proper Sword & Sorcery world, SH allows for an awesome degree of supernatural exploration– a feature once integral to the originating pulps that inspired the genre (Howard, Smith, Lovecraft); the Hill does have the prerequisite elements: ruins, creatures, alchemy (witchcraft). The series sacrifices some action elements to amplify the horror of battling the unknown. It grounds readers in abandoned towns filled with ghosts, only to use that foundation as “reality” to take readers into the next level of horror (“nightmare realm”) in which the cracked paint peels of walls and flies away, and hell (in multiple carnations) overwhelms all. Silent Hill pushes the boundaries of horror in every way, from its character designs, settings, and story. In Silent Hill 1, I was horrified to be chased by knife-wielding dead children in the Midwich Elementary school. But that experience pales in comparison to the debut of Pyramid Head in Silent Hill 2 (room 307 Wood Side’s apartment), in which the butcher-like-demon rapes the four-legged mannequins (that is correct…one torso, four legs). Your character is forced to watched from within a closet—the scene is more bizarre than gory. If Pyramid head or his victims looked more human, than the effect would be lost—that would be too real, less scary. Silent Hill wants you to feel vulnerable and pressured by forces you cannot describe. The fantasy element is crucial. The balance of implicit vs. explicit gore and horror is tough to achieve, but we can learn from masters Like Frazetta (link to earlier post). The below aerial imagery from the Silent Hill movie shows a road in the Appalachian Mountains; in the leading car are a mom (Rose Da Silva) and daughter (Sharon), driving toward the titular town to confront the haunts that plague Sharon’s dreams. A police car follows. Our recent drive through West Virginia (our images below), sets the stage; map included in case you want to trek over. So after hours of driving in the mountains, we stop at a Hotel in Staunton, VA. Staunton is not haunted, but we unexpectedly chose a hotel overlooking a beautiful boarded building (~the intersection of highway 81 and route 250 near the Frontier Museum); From our hotel view (below, looking eastward). Turns out, it this is an abandoned children’s sanitarium named after the leader Doctor DeJarnette. Due to Doctor DeJarnette’s eugenics project, many inmates were reportedly sterilized in the basement against their will (his butchery and sexual motivations reeks of Pyramid Head). Ghosttowninfo.com - Dejarnette Sanatarium (link) offers interior images and Project Energia Buran offers as a video tour (embedded below)! To be clear, my family did not tour the facility! It is riddled with asbestos and is hardly a family destination. This is not Silent Hill! There is nothing explicitly terrifying about this image; implicitly, it is creepy as hell! Project Energia Buran (2007) tours the Sanatorium for us! Every SH game visits a hospital; I think every one has ghost- or living-children running amongst them. 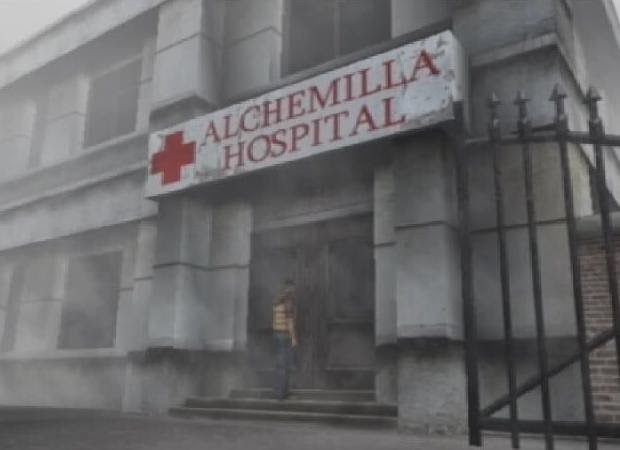 Alchemilla Hospital (left image below) and Brookhaven Hospital (right image) are fictional hospitals that are frequently visited in the Silent Hill games. A blog post cannot due these justice…I suggest you get the games and explore them. You will be scared…and you can pretend you are experiencing the haunted (possibly) DeJarnette Sanitarium! Be careful. Once you play the games, you may not be able to stop thinking about the horrors the evoke! Awesome!